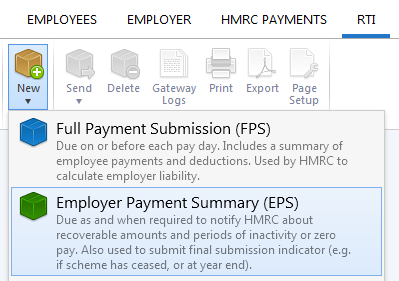 At the end of the tax year, a final Employer Payment Summary (EPS) submission will be required in addition to your final FPS for the year, to inform HMRC that you have completed your final submission for the year. 4) Click 'OK' and submit to HMRC when ready. 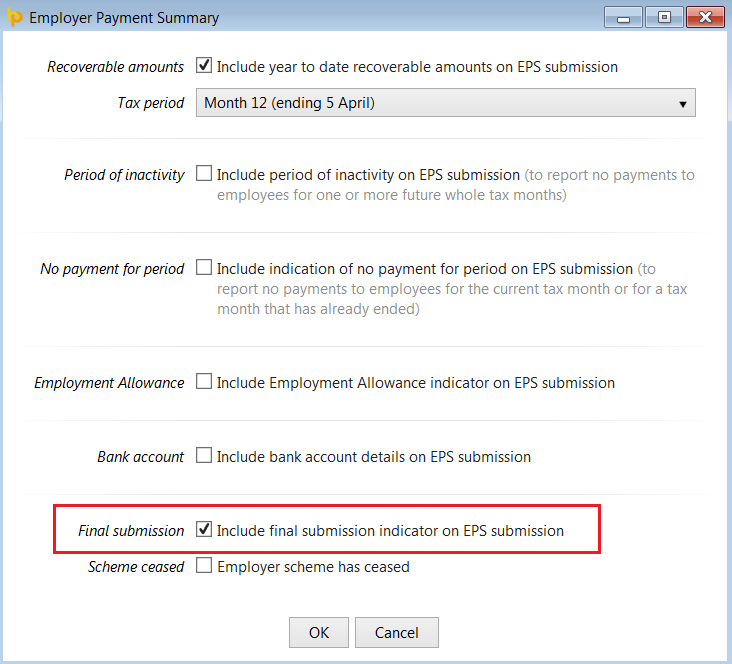 Please note: since 6th March 2015, employers are no longer required to answer additional end-of-year questions on their EPS submission. If your PAYE scheme has also ceased, you will find guidance here.